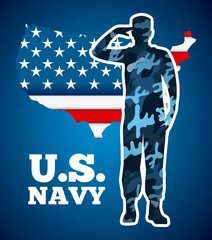 Happy 241st Birthday U.S. Navy! Our nation celebrated the U.S. Navy’s 241st Birthday on October 13. AFR has a long history with the Navy, which makes sense with our company’s headquarters here in Norfolk – home to U.S. Fleet Forces Command, Joint Staff Hampton Roads, U.S. Marine Corps Forces Command, Naval Submarine Forces, Atlantic; and Naval Reserve Forces Command. Just recently AFR was awarded a three year contract by the Navy Reserves to plan Returning Warrior Workshops in the continental United States and Puerto Rico for post-deployment Reservists. This is the third time we’ve been awarded since the initiation of this important Yellow Ribbon program in 2008. AFR’s services and technical ability have been continually rated as “Outstanding” by the Navy. We have provided military reunions five star service for going on thirty years and it was our history of serving only the military that caused the Navy’s contracting house to call in 2008, suggesting AFR bid on DOD’s reintegration programs. If your military reunion group is seeking a first class operation and an honorable partner please don’t hesitate to give us a call at 1-800-562-7226. Or visit our Home Page. 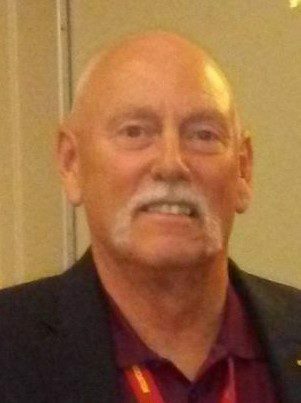 The Featured Veteran this month is Dave Smith, president of the 2/3 Vietnam Vets Association. 2/3 joined our large family of satisfied Marine Corps groups this year. The Featured Reunion Destination this month is Columbus, GA – home to the National Infantry Museum. A year doesn’t pass without AFR hosting a reunion in Columbus, and recently the Society of the Fifth Division has a spectacular reunion there. Nestled along the banks of the Chattahoochee River in west central Georgia, Columbus was one of the last planned cities of the original 13 colonies and served as a major supply point during the Civil War. The National Infantry Museum & Solider Center at Patriot Park honors the 235+ year legacy of valor and sacrifice of the American Infantryman. This facility serves to educate, honor, and preserve the legacy of the oldest branch of the United States Armed Forces. 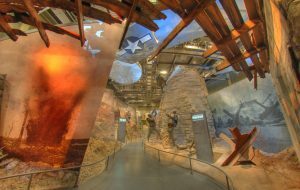 Inside the National Infantry Museum, traverse the “Last 100 Yards Ramp,” where battles from each of the Infantry’s major conflicts over the years are depicted in striking realism. Enjoy interactive galleries tracing Infantry history from colonial times to the present and learn about the training of today’s Soldier. Visit the National Civil War Naval Museum at Port Columbus – the only museum in the country dedicated to the naval history of the Civil War. New on the grounds at Port Columbus is a full-scale replica of the USS Water Witch, representing one of the most exciting events in Civil War naval history. When it’s time for your reunion, Columbus’ inventory of meeting space can accommodate the smallest groups to a 6000-plus-person convention…all handled with the sophisticated support found in larger cities, but without the sticker shock. As for facilities to have your meeting, Columbus has more than 30 distinctive breakout venues totaling more than a half-million square feet of meeting space. Among these venues is the Columbus Convention & Trade Center. Once called the Columbus Iron Works, the Trade Center was a foundry that churned out everything from machine parts to munitions during the Civil War. Today, this recently expanded and renovated architectural wonder has been converted into one of the most distinctive meeting facilities in the Southeast…if not the country. Captured in photojournalist Catherine Leroy’s 1967 picture Corpsman In Anguish of U.S. Navy Corpsman Vernon Wike cradling a dying comrade near Khe Sanh, Vietnam, the image brings home the valor and sacrifice of the 2nd Battalion/3rd Marine Regiment. Serving in 2/3 from 1967-68, Sergeant Dave Smith was a section leader, forward observer and squad leader attached to Foxtrot Co. The battalion and Smith saw some of the bloodiest and most heroic fighting of the war. Smith was elected president of the Association last year. The group has about 170 members and held their most recent reunion during August in Charleston, South Carolina, managed by Armed Forces Reunions, Inc., (AFR) the parent company of BookMyReunion.com. “AFR did a tremendous job and they’re doing our Hills Fights 50th anniversary gathering next year in San Antonio,” said Smith, who lives with wife Terry in Lompoc, California.